Are you prepared or adequately insured if your kitchen catches fire? Recently one of our staff members attended a kitchen fire claim at a property and found the customer was very lucky to get away with minor damage to their kitchen. 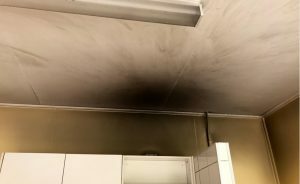 A customer was distracted by her small children while cooking and oil caught fire, which burnt the kitchen cabinets and ceiling. Luckily a smoke detector activated, and the customer had a fire blanket to extinguish the blaze. During the assessment, it was identified the building and contents sums insured were grossly underinsured. Subsequently, within days the property owners significantly increased their building and contents to ensure they were well protected. 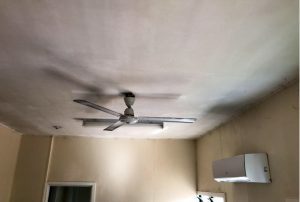 Within two weeks, all repairs and cleaning were completed. A 10/10 service scorecard was received as well as a personal thank you note to the Claim Central team.